Maybe you think of the Catskill Mountains as the Borscht Belt, but I remember when the heights around Tannersville, New York, echoed with the sounds of kebab sizzling on the grill and dice skipping across a backgammon board. Our family made at least one trip to the Catskills each summer in the 1950s and '60s, and we always had plenty of familiar company. Nobody we knew ever flew anywhere in those days, and working people didn't get much time off. So vacation destinations had to be close at hand. The Catskills were just a few hours' drive from anywhere in the New York area. Better yet, the rolling mountains and rushing streams were hauntingly familiar to the old folks. I remember them sitting silently, looking out across the deep-green valley. Even on the mistiest day, I believe they truly could see all the way to Mount Ararat. We always stayed at the Washington Irving Hotel, which we knew as Varbed's Place. It was run by Varbed and Mary Chebolian, whom I called Grandma Mary. I cannot picture her with any expression except a smile on her face. The hotel was already old and creaky, and a very scary place for a kid when summer storms rolled across the mountains. My father told me the story of Rip Van Winkle, explaining that the thunder was really the sound of the little mountain men bowling in the caverns. The result was greatly calmed nerves, and a lifelong love of Washington Irving's tales. So many memories come rushing back: hiking along the mountain trails, plunging into the freezing water below the falls, and drinking the equally cold, sweet water that bubbled up from the fountain on the front lawn. And, of course, I remember eating with all those Armenians in the dining room: Big platters of dolma or kebabs passed around family style as people visited from table to table. It was impossible to get through a meal without at least one serious pinch under the chin from some old person I didn't know but who was just so excited to see me. 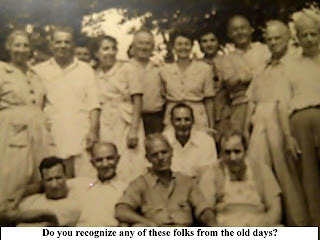 The Armenian era in the Catskills began to fade as incomes went up, air fares went down and the old folks began to die. I hadn't been there in more than 40 years, since I was a teenager, until we took a side trip with our daughter Mandy during our vacation in New Jersey last summer. To my surprise, the Washington Irving Hotel still stands on the outskirts of Tannersville and Hunter along Route 23A -- and it looks great. New owners have restored the hotel to a glory that passed long before I was born. It's very upscale, very charming -- the sort of place where you have afternoon tea and scones, not coffee and chorag. 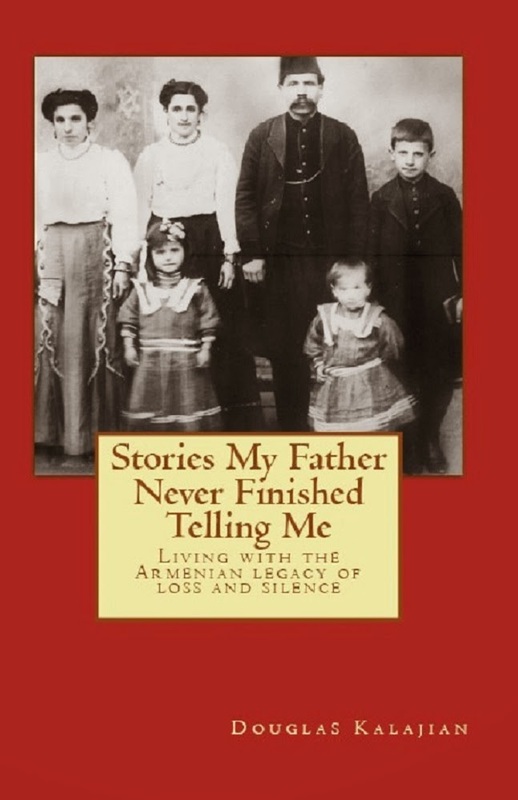 All vestiges of Armenians seemed to have vanished, but I was wrong. The manager guided me to a wall near the bar where pictures from the hotel's past are proudly displayed, including the Chebolians' wedding photo and several group shots of now-nameless Armenians. I did a little Googling when we got back home to see what else I could turn up. I found a genealogy site listing everyone buried in Evergreen Cemetery in the Town of Hunter. Entry 187 is Marderos (Varbed) Chebolian and his wife Mary. There are many other Armenian names on the list, too. I smiled to think that at least some of them must be the old folks I remember looking silently out across that same valley. 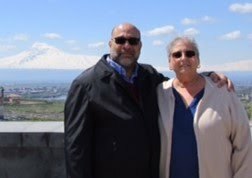 I love to learn more about the history of the Armenian community both in the US and around the world; I have the greatest respect and admiration for the Armenians achievements and their past challenges! I've been traveling, so needed to catch up a bit on The Kitchen. Wonderful items here. I like this one especially. How great that the hotel still stands and the pictures are on the wall! Thank you for these sweet memories! I remember staying at Varbed's in the mid-1960s with my parents and grandparents, and my grandparents' friends. Thanks for the memories, I was there in the mid 50's and we brought home an evergreen sapling which grew alongside our home in NJ. What a nice way to remember the Catskills each and every day!